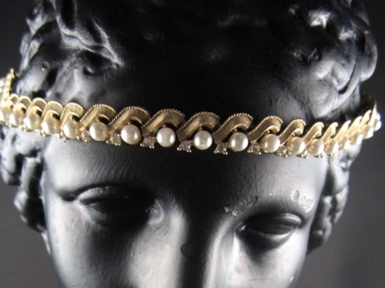 This grecian style hair adornment is made from a vintage goldtone and faux pearl necklace. It fastens at the back with an adjustable faux pearl chain made from 14k rolled gold. This item comes in it's own black and gold fur lined (Faux) embossed box. Postage is free on this item.